Full overlay 5/8" to 13/16". Half overlay 5/16" to 1/2". 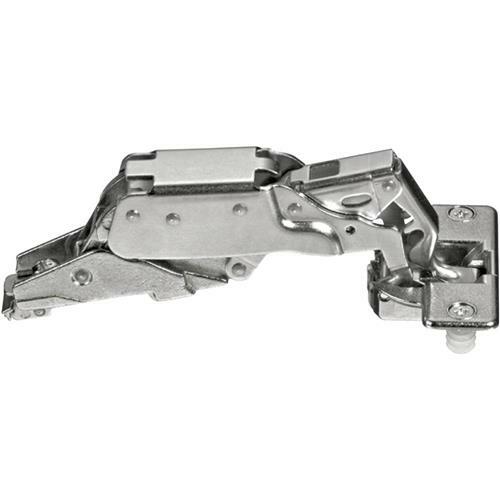 This wide opening, self-closing hinge is 3-way adjustable without loosening the hinge. Zero clearance allows unobstructed access for pullouts when the door is opened from 90° to 170°. Maximum door thickness is 1". Lifetime warranty. Soft-Close option available! Very happy with the Glass hinges that replaced several broken hinges.